Hurricane Bingo is a great game for grades 6 and up. Students will learn hurricane terms in a fun, fast atmosphere. The game can be played independently or in groups. These are the hurricane terms used in Hurricane Bingo. The terms should be reviewed with your class prior to playing Hurricane Bingo. When playing Hurricane Bingo, read only the description, and not the term in parenthesis at the bottom of each card. Cut out each term and glue or tape each to an index card. Note: Laminating the term index cards will make them last longer. The pressure exerted by the atmosphere at a given point. Its measurement can be expressed in several ways, including millibars and inches of mercury (Hg). Average sea level pressure is 1013.25 millibars or 29.92 inches of mercury. A drop in this usually indicates the approach of bad weather, such as a hurricane. The pressure exerted by the atmosphere at a given point (as measured by a barometer). It is measured in inches of mercury. Watching a barometer for a drop in atmospheric pressure helps forecasters determine how quickly a hurricane is approaching. A system for reporting wind speeds. It is based on the visible effects of wind upon land objects (such as vegetation) and/or sea surface conditions such as white caps and foam. A high pressure system that is warm aloft and cold at the surface. Such a high moves slowly, tending to move westward during intensification and eastward during dissipation. It "blocks" the movement of cyclones across its latitudes by causing a split in westerly winds. A hurricane may be steered toward or away from land by this. Atmospheric conditions without significant wind or rain. In marine terms, it includes the apparent absence of motion of the water surface when there is no wind or swell. Conditions are this way in the eye of a hurricane. The atmospheric pressure at the center of a high or low. It is the highest pressure in a high and the lowest pressure in a low at sea level. The stronger change in pressure towards the center is, the greater the maximum wind speeds around the eye wall. In weather processes, there is circulation of fluid (air) that serves to equalize temperatures. An example is air flow between ocean and land during day and during night. Hurricanes use warm ocean waters for this process allowing for an increase in strength. The net flow of a fluid into a given region. In a cyclone, it refers to wind movement resulting in the flow of air toward a low pressure center. At lower levels, this process causes upward motion. In a hurricane, this causes air to rise and fuels storm strength by carrying warm air upward through the storm. The development of a new low pressure system or cyclone, or intensification of a pre-existing one. It is also the first appearance of a trough. Hurricanes undergo this as they develop from a disturbance to a hurricane (as they become a cyclone). Instruments placed throughout the Gulf of Mexico and along the Atlantic and Pacific coasts of the United States that collect and relay data or information on air and water temperature, wind speed, air pressure, and wave conditions through several media. For hurricanes, these are used to gather information to help predict hurricane strengthening or weakening and direction of movement. An area in the atmosphere exhibiting signs of potential cyclone development. A weather reconnaissance device designed to be dropped from an airplane. This device includes meteorological instruments and a parachute. A vertical profile of the atmosphere is returned to meteorologist's computers as this data is collected. These are used by hurricane hunter aircrafts to obtain the minimum central pressure in the eye of the hurricane, and conditions throughout the storm. A wave-like disturbance (trough) in the tropical region that moves from east to west, affecting patterns of wind and rain. The presence of a disturbance like this indicates atmospheric instability. It is often associated with tropical cyclone development. The center of a tropical storm or hurricane, with a roughly circular area of light winds and rain-free skies. This usually develops when the maximum sustained wind speeds exceed 78 mph. It can range in size from 5 miles to 60 miles in diameter, but the average size is 20 miles. When this begins to shrink in size, the storm is usually intensifying. Highly organized storms have smaller ones of these which indicates greater intensity. Inside this in a hurricane, there is no rain and winds are light. An organized band of storms surrounding the eye, or center, of a tropical cyclone. This contains cumulonimbus clouds, intense rainfall and very strong winds. This is the most intense part of the hurricane, containing maximum wind speeds, heavy hail, and the heaviest rainfall. The area over which the wind blows steadily. The greater this is, the greater the wave height. In a hurricane, this, wind speed, and wind direction associated with the storm will determine the storm surge as the storm moves landward. The speed at which a hurricane moves along its path. Slow-moving hurricanes (where this is low) provide more opportunity for people to prepare. On the Beaufort Wind Scale, defined as winds with speeds from 28 to 55 knots (32 to 63 miles per hour). These are often associated with the outer portion hurricanes. The warm, swift, relatively narrow ocean current that flows from south to north off the southeast Atlantic coast of the United States. These warm waters often feed hurricanes by providing warm water that might be patchy elsewhere. A sudden significant increase in or rapid fluctuations of wind speed. Peak wind speed must reach at least 16 knots (18 miles per hour); the duration is usually less than twenty seconds. In a Hurricane these have speeds 10mph or greater faster than a hurricanes sustained wind speed. The name for a tropical cyclone with sustained winds of 74 miles per hour (65 knots) or greater in the North Atlantic Ocean, Caribbean Sea, Gulf of Mexico, and in the eastern North Pacific Ocean. A formal advisory issued by forecasters at the National Hurricane Center when they have determined that hurricane conditions are expected in a coastal area or group of islands within a 24 hour period. This is used to inform the public and marine interests of the storm's location, intensity, and movement. A formal advisory issued by forecasters at the National Hurricane Center when they have determined that hurricane conditions are a potential threat to a coastal area or group of islands within a 24 to 36 hour period. This is used to inform the public and marine interests of the storm's location, intensity, and movement. A line drawn on a weather map connecting points of equal pressure. These take the shape of concentric circles around a hurricane or any closed low pressure system. A nautical unit of speed equal to the velocity at which one nautical mile is traveled in one hour. 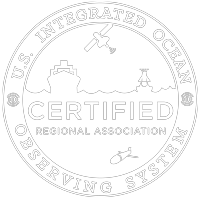 Used primarily by marine interests and in weather observations. This is equivalent to 1.151 statute miles per hour or 1.852 kilometers per hour. The energy released or absorbed during a change of state, for example, in changing from a liquid to a gas. In a hurricane, this comes from warm ocean water that is turned to steam providing energy to the storm. This is one ingredient needed to form & strengthen a hurricane. The location north or south in reference to the equator, which is designated at 0 degrees. Lines of this on a map or globe are parallel lines that circle the globe both north and south of the equator. The poles are at 90 degrees North and South. Latitudes between 30 and 0 degrees North and South of the equator. Also referred to as the tropical or torrid region. Most hurricanes develop here where waters are warmest. An area of a relative pressure minimum that has converging winds and rotates in the same direction as the earth. This is counterclockwise in the Northern Hemisphere and clockwise in the Southern Hemisphere. Also known as a cyclone, it is the opposite of an area of high pressure (anticyclone). This describes the hurricanes steady winds. Unlike hurricane gusts, these must last over twenty seconds continuously. This determines the category of the hurricane on the Saffir-Simpson Scale. The standard unit of measurement for atmospheric pressure used by the National Weather Service. One of these is equivalent to 100 newtons per square meter or .029 inches of Mercury. Standard surface pressure is 1013.2 of these. A unit of length used in marine navigation that is equal to one minute of arc of a great circle on a sphere. One international unit of this is equivalent to 1,852 meters or 1.151 statue miles. Has winds of 74 to 95 mph or 64 to 83 knots. Damage primarily restricted to shrubbery, trees, and unanchored mobile homes; no substantial damage to other structures; some damage to poorly constructed signs. Low lying roads inundated; minor damage to piers; small craft in exposed anchorages torn from moorings. Winds of 111 to 130 mph or 97 to 113 knots. Foliage torn from trees; large trees blown down; poorly constructed signs blown down; some damage to roofing, windows, and doors; some structural damage to small buildings; mobile homes destroyed. Serious flooding along the coast; many small structures near the coast destroyed; larger coastal structures damaged by battering waves and floating debris. Evacuation of low lying residences within several blocks of shoreline may be required. Winds of 131 to 155 mph or 114 to 135 knots. Shrubs, trees, and all signs blown down; extensive damage to roofs, windows, and doors, with complete failure of roofs on many smaller residences; mobile homes demolished. Flat terrain 10 feet or less above sea level flooded inland as far as 6 miles; flooding and battering by waves and floating debris cause major damage to lower floors of structures near the shore; low lying escape routes inland cut off by rising water; major erosion of beaches. Massive evacuation of all residences within 500 yards of the shore may be required. The increase in sea water height from the level that would occur under calm conditions. It is estimated by subtracting the normal tide from the recorded water level of the storm. Although the largest of these are associated with hurricanes, smaller low pressure systems and winds associated with fronts can cause an increase in the sea level if wind and fetch are cooperating. It is estimated by subtracting the normal astronomic tide from the observed storm tide. The region between the tropical and temperate regions, an area between 35Â° and 40Â° North and South latitudes. This is generally an area of semi-permanent high pressure. Also known as the semi-tropics, these waters are in the region between the tropics (23.5 degrees north and south of the equator) and approximately 35 degrees latitude. Ocean waves that have traveled out of the area where they were generated. These characteristically exhibit a more regular and longer period and have flatter wave crests than waves within their fetch. When these are generated by hurricanes that are offshore, they can cause big waves at the coast and set up dangerous rip currents. Produced by a cumulonimbus cloud, it is a microscale event of relatively short duration characterized by thunder, lightning, gusty surface winds, turbulence, precipitation (including hail in larger systems), moderate to extreme up and downdrafts, and under the most severe conditions, tornadoes. A violently rotating column of air in contact with and extending between a convective cloud and the surface of the earth. It is the most destructive of all storm-scale atmospheric phenomena. They can occur anywhere in the world given the right conditions, but are most frequent in the United States in an area bounded by the Rockies on the west and the Appalachians in the east. If these occur over water they are called waterspouts. A warm- core low pressure system which develops over tropical, and sometimes subtropical, waters and has an organized circulation. Depending on sustained surface winds, the system is classified as a (1) tropical disturbance, (2) a tropical depression, (3) a tropical storm, or (4) a hurricane or typhoon. A tropical cyclone in which the maximum sustained surface winds are 38 miles per hour (33 knots) or less. Characteristically having one or more closed isobars, it may form slowly from a tropical disturbance or an easterly wave which has continued to organize. This is two stages before hurricane. A tropical cyclone in which the maximum sustained surface winds are from 39 miles per hour (34 knots) to 73 miles per hour (63 knots). Once a tropical wave has become this, it is given a name to identify and track it. This is one stage before hurricane. Ocean waters within 23 degrees latitude of the equator. In the western Atlantic, these waters are warm year-round. When a hurricane is moving through these waters, it is considered a tropical cyclone. The direction from which the wind is blowing. For example, an easterly wind blows from the east, not toward the east. It is reported with reference to true north, or 360 degrees on the compass, and expressed to the nearest 10 degrees, or to one of the 16 points of the compass (N, NE, WNW, etc.). The rate of change of wind speed or direction with distance. Vertical ones of these are the rate of change of the wind with respect to altitude. In a hurricane, vertical ones of this can cause significant weakening of the system. The term applied to a change in wind direction of 45 degrees or more, which takes place in less than 15 minutes. It may the result of a frontal passage, sea breezes, or thunderstorms. And in some instances, the change may be gradual or abrupt. The rate of the motion of the air per unit of time. It can be measured with several types of instruments such as an anemometer, and may be reported using different units including knots (nautical miles per hour), miles per hour, or meters per second.